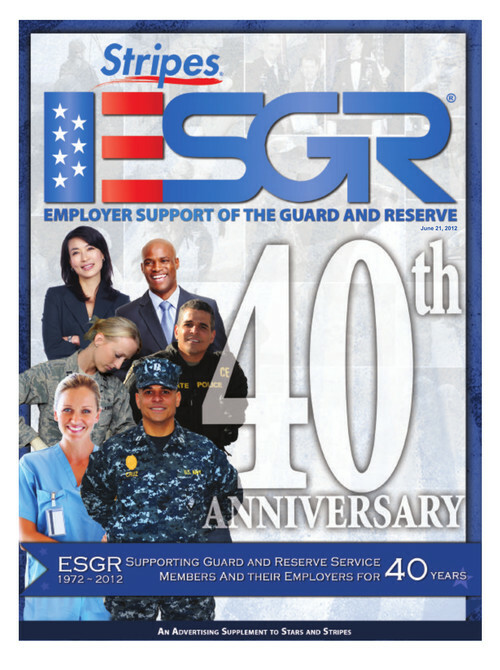 To help Employer Support of the Guard and Reserve (ESGR) celebrate its 40th anniversary, Stars and Stripes featured a 16-page supplement on the history of ESGR. This publication takes a look back at how and why ESGR was formed, the impact on today’s war, how ESGR recognizes supportive employers and how its nationwide network of volunteers carries out its mission. The piece also features a page on Hero to Hired and how it is aimed at helping service members find a meaningful job.